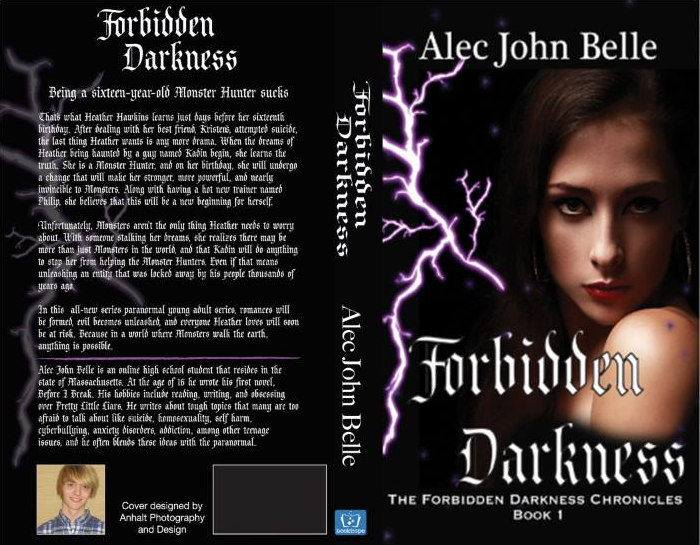 Today I am very happy to share with you the official cover for my re-release, Forbidden Darkness! I’m very excited to say that this book will be released to the world on June 5th, 2015. This book is very important to me, as well as the series as a whole. One thing I know I’m going to get asked is this: Why did you choose to incorporate things like suicide, self-harm, and depression in a world that’s supposed to for entertainment? The answer to that question is actually pretty simple. I do not believe in censorship. When I wrote my first novel, Before I Break and it made its debut in September of 2014 (which is also re-releasing this July), I was very concerned about the type of response it would get. Many authors including my very favorite, Ellen Hopkins, get banned from schools and certain places because of the type of things their books cover. Forbidden Darkness focuses on Heather Hawkins, who just recently almost lost her best friend Kristen to suicide. The affect effect that it leaves on Heather is sad, because throughout the novel she worries that it’s going to happen again. Heather’s mom worries that Heather will turn out like Kristen. Philip, who is now Heather’s love interest, plays a role in the things that happened to Kristen. While Heather is the main protagonist of the book, what happened with Kristen was pretty damaging to everyone around her. 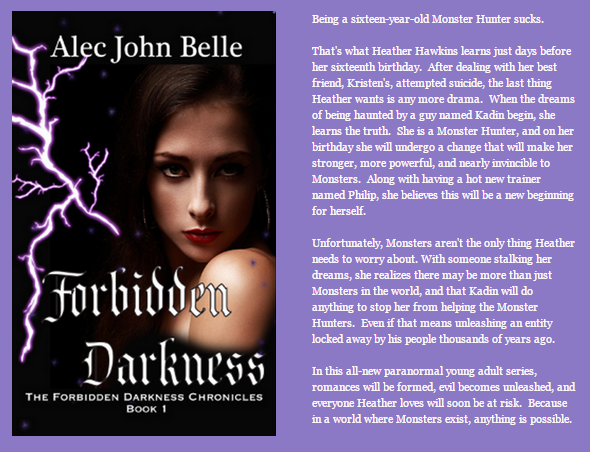 When Heather realizes she’s a Monster Hunter and is being stalked by a guy named Kadin in her dreams, she notices he can wield Darkness. The idea of the Darkness came to me when I originally named the first book Negative Energy. I won’t go too much into the story because I still want people to read it, but the Darkness is basically a physical form of all those negative emotions you feel. And it’s entirely, 100% evil. I look forward to being able to dig into other issues as this series goes along, and for you to see the true potential of Darkness. Just like life, we all have a little Darkness inside us, and when everything is going on around us, we need to learn not to give in. Never give into the Darkness, because it will take over your life in ways that you may never have imagined. The hidden messages are thrown throughout the novel, and I hope now this will make it easier for people to catch them. Writing this series was a way of controlling my Darkness. What will you do to control yours?